Shawols! There’s still time to catch your favorite shiny boys at their first concert in Singapore. 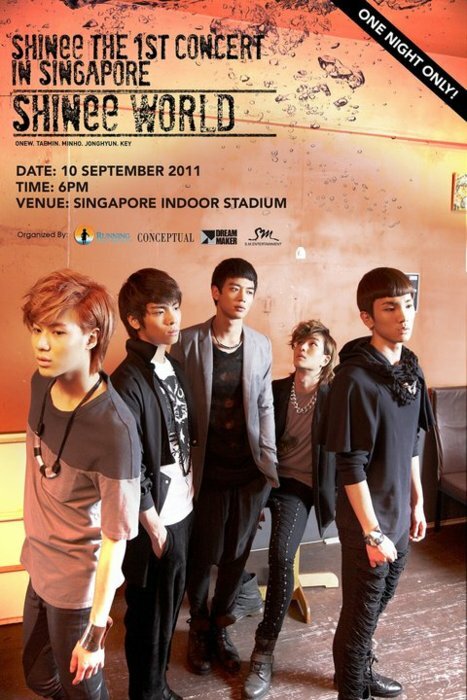 SHINee’s first solo concert in Singapore will be held on September 10th at 6:00 pm in the Singapore Indoor Stadium. They are only scheduled for one night, so it’s not a night to be missed if you’re in or about Singapore. For more information, you can check out the promoter Running into the Sun’s site or Facebook page. There are also many fan pages on Facebook set up for Shawols to connect with each other to talk about the concert, swap tickets, or plan for events (hmmm, what color balloons are SHINee’s official color?). At last report there were still a couple hundred seats left, so if you’re fan be sure to check it out.